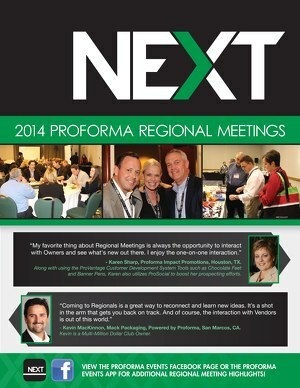 NETWORK, LEARN AND GROW AT THE PROFORMA SUCCESS SUMMITS! 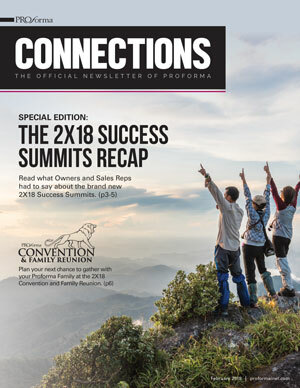 Back by popular demand are the second annual Success Summits. 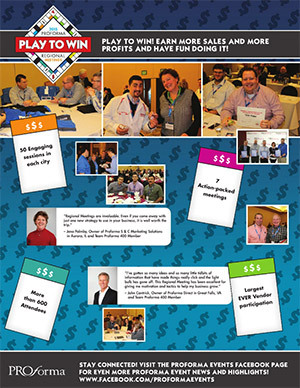 Take advantage of this opportunity to collaborate with fellow Owners at your sales level who have similar questions and is experiencing similar challenges and opportunities. 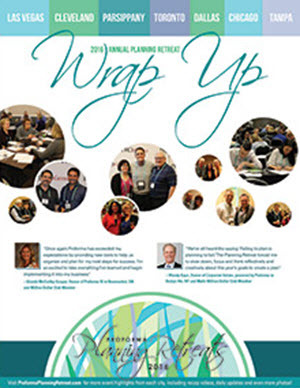 Continuing to network, learn and grow is beneficial to Owners at every level. 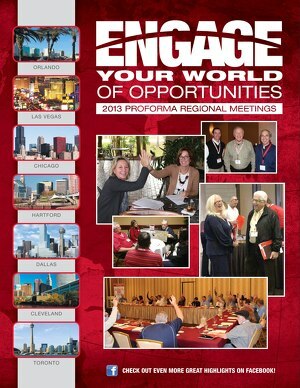 Further your success with the help of the Proforma Success Summits. Please visit the “Meeting Dates” section for a full listing of meeting dates and locations. Pillars Club, Million and Multi-Million Dollar Club Owners are invited to private one-day meetings. These intimate meetings, with a limit of 20 Owners in attendance at each Summit, are designed to facilitate one-on-one strategic conversations. 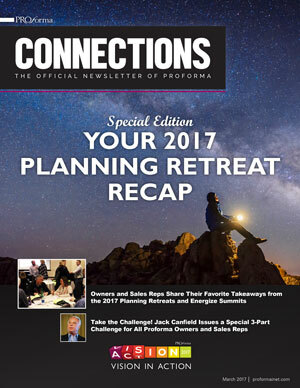 Rather than presentations given by Support Center Team Members, conversations will be moderated by Proforma’s Strategic Advisors, but ultimately led by the Owners to give attendees the freedom and flexibility to discuss the issues most pertinent to their businesses. Registration for our specified meeting locations are first come, first served.